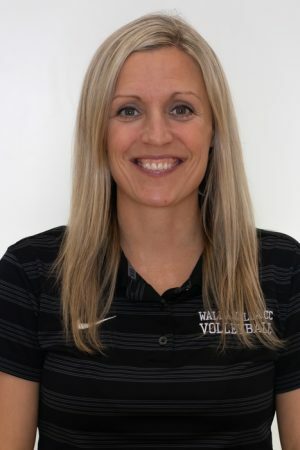 The 2018 season will mark Chelsie Speer’s 5th year as the Head Volleyball coach at Walla Walla Community College and her 10th year overall in the NWAC as a head coach. In Coach Speer’s 4th season as the Warriors head coach, she led the team to a 34-17 record and a 5th place finish at the NWAC tournament. Speer has been named East Region Coach of the Year two times in her tenure at WWCC. Her overall record in four season is 118-61. 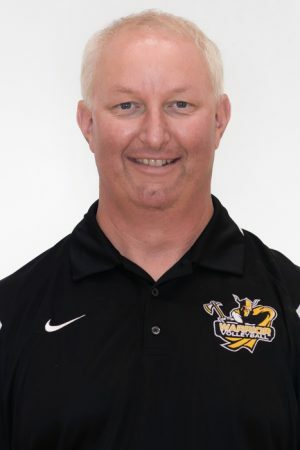 Prior to taking the reins of the Warriors, Coach Speer spent five seasons as the head coach at Mt. Hood Community College where she led the Saints to five Southern Region titles, one NWAACC Championship, two NWAACC 2nd place finishes, one 3rd place finish and one 4th place finish. Speer also received Southern Region Coach of the Year in 2009, 2010, 2012 and 2013. Her overall record in 5 seasons at Hood was 175-43. Coach Speer is excited about where the Warrior program is going and she believes the culture of the program is exactly where it needs to be to continue to have success. 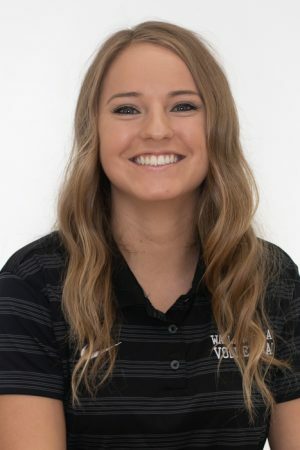 Throughout Coach Speer’s career, she has had the privilege of coaching four athletes that were named AVCA NWAC 1st Team All- American: Kyra Speer (2010), Rylie Engelson (2011), Tori Kemper (2012), Tori Wegdahl (2016) and one 2nd Team All-American: Lihau Perreira (2013). NWAACC All-Academic Athletes, inlcude: Liz Williams and Kelsey Bordewyk in 2009, Kyra Speer in 2010, Demi Belshe in 2011, Maycee Abendschein in 2012, Carrie Haguewood and Shawna Smith in 2013, Denise Comfort and Breanna Mehling in 2014, Nataly Aguilar and Alexa Lindgren in 2015, and Dani Burke, Savannah Ruark, and Tori Wegdahl in 2016. Speer started her college career in 2001 at Mt. Hood as a two-sport athlete, playing volleyball and softball. In 2001, Speer played for Michael Seemann (currently, Portland State head coach). During her freshmen season she was a part of an undefeated Southern Region and NWAACC Championship team. In 2002-2003, Speer played for another great coach, Lena Chan. In 2002, Speer’s medical red-shirt season, the Saints won another Southern Region and NWAACC Championship. 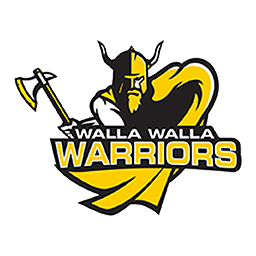 In 2003, they took 2nd in the Southern Region and finished 7th at the NWAACC tournament. At the end of her Mt. Hood career, Speer received the Female Athlete of the Year Award. Then, in 2004, Speer attended Portland State University and played for the Vikings. In 2005, Speer returned to Mt. Hood as Lena Chan’s assistant coach where she helped lead the Saints to a Southern Region Co-Championship and a 2nd place NWAACC finish. The following two seasons, 2006 and 2007, Speer remained as Chan’s assistant and helped guide the Saints to back-to-back Southern Region Championships and back-to-back NWAACC Championships. Speer then moved back to her home town of Pendleton, Oregon to take the reins of her high school Alma Mater in 2008. Speer led the Buckaroos to a 2nd place finish in the Intermountain Conference with a record of 11-3. Speer was voted as Co-Coach of the Year in the IMC. Speer is a 2006 graduate from Portland State University with a degree in health education and a minor in physical education. She received a Master of Science in Wellness and Fitness from California University of Pennsylvania online program in 2011. Speer and her husband, Justin Speer, the new head baseball coach at WWCC, have two sons, Aiden and Braxton. Mark was born and raised in Bend, Oregon where he started his volleyball career and has been a student of the game since 1991 both as a player and as a coach. He has played at a highly competitive level of volleyball both indoor 6’s and outdoor doubles both sand and grass. Started playing competitive indoor with Central Oregon Community College as an outside hitter and back up setter and traveled to many tournaments and collegiate matches across the country including 4 US Open Volleyball Championships then moved on to Oregon State University where he played as and outside hitter and defensive specialist. After college he continued to play the indoor tournaments in the pacific northwest as well as moving on to more of the outdoor doubles with preference to the beach. He has coached many levels of volleyball from junior high girls club programs to the collegiate level. He believes in the philosophy of being a constant student of the game makes you both a better player and coach and seeks to instill in his players that same philosophy in the hopes that players will carry on the same work ethic and mental perseverance in to their daily lives and careers both on and off the court. He resides in Walla Walla as a practicing Physical Therapist and enjoys other outdoor activities including biking, hunting, fishing and camping and most of all spending time with his beautiful wife and two dogs.